Share the post "Gig review: STEELEYE SPAN – Waterside Theatre, Aylesbury, 2 December 2013"
Cor, it’s nippy out. I’d better get inside then: after all, what could exude more warmth than an evening of electric folk? There’s a rustic, fireside pleasure inherent in the songs of our ancient heritage which some would say is best experienced at this time of year, with doors firmly closed, lights dimmed and draughts excluded. Yet Steeleye Span, whilst still to many the premier representatives of such traditions, have never relied firmly on convention – in fact, even at their softest and most commercial, there’s always been an edgy, strident and adventurous broadside to their music that has prevented them repeatedly from sinking, as other folk-rock artists have often done, into the mires of MOR hell, and their new album (ironically, in the light of what we’ve just discussed, called ‘Wintersmith’) is further example of this. Whether, on the other hand, that calls for over half of it to be performed live in front of an audience largely unfamiliar with its content, especially in a provincial town where most attendees tend to be between 55 and 70 in age, is a moot point: again, further evidence of their unwillingness to compromise perhaps (a laudable quality in an artist), and a good chance to sell a few in the foyer too, but maybe a little more balance could have been struck? On its own terms, the new material is definitely some of the most unusual SS have yet recorded: a concept album no less (anyone with a mistrust or disdain for prog rock should stop reading now, really) based on Terry Pratchett’s latest cycle of Discworld novels, concerning adolescent witch Tiffany Aching and her experiences with the Wintersmith of the title, aka Winter himself. Moving between the jagged folk-rock they’re best known for (as on the brooding, lumbering ‘Dark Morris’) and melodic, soft AOR balladry (‘Love Enough’ ‘We Shall Wear Midnight’), then back towards heavier, punchier numbers like ‘Crown Of Ice’ (due in no small part to the emergence of their newest addition, guitarist and former Hammer Horror star Julian Litman) the sound is undeniably rich, full-blooded and varied, and definitely leans further towards amplified rock than any album since 1989′s now-recognised highlight ‘Tempted And Tried’ or, conversely, 2000′s unfairly-maligned ‘Bedlam Born’. In fact, not one single number from either ‘Parcel Of Rogues’ or ‘Below The Salt’ was aired, nor any of the dozens of fine album tracks to choose from in an extraordinary career spanning (groan) some 44 years. We do still receive several rewards for our trouble: a thumping, powerful ‘Thomas The Rhymer’, the ever-effective moodiness of ‘Saucy Sailor’ and ‘Blackleg Miner’ (the song which nearly got them lynched, allegedly, one night Oop North somewhere in the mid-80s), an ever-skittering, jigging ‘Seagull’, the robust innuendo and discordant riffs of ‘Bonny Black Hare’ – although I’d wager that Fairport’s version is still better known, even to Steeleye’s own fanbase - plus the inevitable two-pronged encore of ‘All Around My Hat’ and the seasonal ‘Gaudete’ (still my personal favourite Christmas single). As usual, the harmonies are perfect, Maddy Prior’s vocals are clear and almost flawless, Liam Genockey’s jazz-inflected drumming is a joy for both eyes and ears, Rick Kemp’s crunchy bass-playing is matched in intensity by his gruff, stormy voice, and Pete Zorn proves himself a master of several instruments both woodwind and string. But, still, only seven familiar tunes out of an entire set? I can’t be the only one feeling slightly miffed, and I’m definitely not the only one whose attention wandered for a fair chunk of the first half. Still, at least they’re moving in a challenging direction (some of the soppier ballads aside) and when it works, it’s quite fascinating: perhaps, also, with an outgoing Peter Knight having recently announced his retirement (leaving Prior and Kemp as the only classic members) the aim is to effectively break with the past, although for a band whose back catalogue is largely the work of that well-known composer ‘Trad Arr’ (in-joke for folk fans there) that may prove difficult. Their unwillingness to ‘play the game’ – lest we forget, this is a band who once willingly placed songs about violent bloody murder next to children’s rhymes on the same album – has always been something I’ve admired about them, and long may it continue, but at several points tonight, it almost proved their undoing. Maybe next year’s tour, by which time we’ll all be greeting the new songs like old friends, will present a clearer picture. 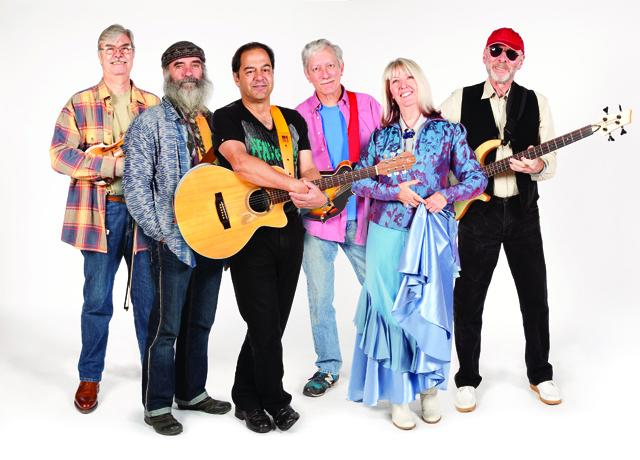 This entry was posted in All Posts, GIG REVIEWS and tagged 2 December 2013, Aylesbury, folk rock, gig, Maddy Prior, review, Steeleye Span, Waterside Theatre. Bookmark the permalink.